The Milan is a tricycle with a self-supporting body - a so-called velomobile. 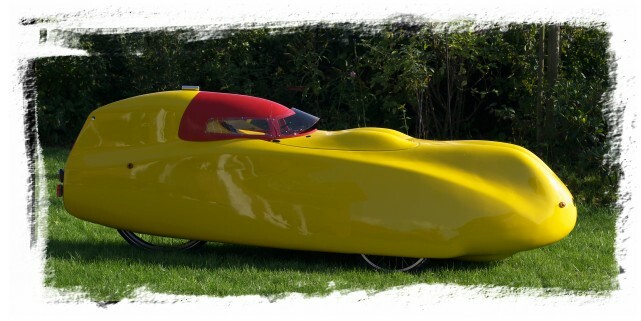 In the development of the Milan velomobile, good aerodynamics were the premiere goal, to allow fast and efficient transport by means of human power. This website presents all the important information about this vehicle. The aerodynamic design of the Milan was conceived by the engineer Eggert Bülk. He has been working on the aerodynamics of human powered vehicles since decades. Several vehicles built by him have been successful in races and ultramarathons. Interested readers will find more information in his 1993 article Aerodynamics of human powered vehicles (german).